While relations between Japan and India date back centuries, the relationship has improved significantly in recent years under Japanese Prime Minister Shinzo Abe and Indian Prime Minister Narendra Modi, and was elevated to the level of a “special strategic and global partnership” back in 2014. Japan-India ties continue to be closely watched today, not just for their own sake but also in the context of broader strategic trends, including China’s rise, the development of various minilateral institutions including trilaterals and Asia’s quad, as well as the advancement of Indo-Pacific visions. 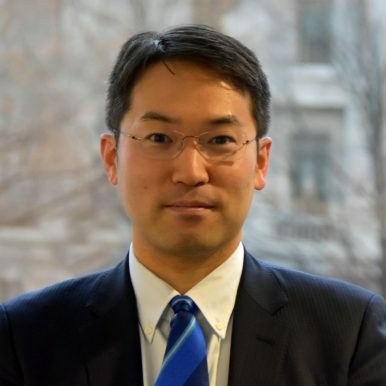 The Diplomat’s senior editor, Prashanth Parameswaran, recently spoke to Satoru Nagao, a visiting fellow at the Hudson Institute in Washington, D.C., about the trajectory of ties between the two Asian powers. The conversation occurred just after the G-20 leaders’ meeting in Buenos Aires, which had seen the convening of the first-ever leaders’ level India-Japan-U.S. trilateral meeting. Relations between Japan and India have improved markedly over the years, notably on the security side, which represents a particularly significant development for both Tokyo and New Delhi. How does that significance map on to their broader foreign policies and what are the implications for the wider region? The security aspect is especially significant for both sides. Japan does not enter into this kind of deep security relationship easily with countries other than the United States, and India has long adopted a non-aligned posture and had traditionally been out of the U.S. alliance system that Tokyo is part of. China’s rising assertiveness has helped motivate both sides to develop relations. Better Japan-India relations benefits both sides but also the wider region. In particular, the ties between the two sides can enhance their ability to become even greater security providers in areas where China’s assertiveness is negatively affecting regional security and prosperity, such as the South China Sea and Indian Ocean. It also adds weight to a growing number of willing actors that can help check the worrying aspects of Beijing’s rise. While the logic of closer Japan-India ties is often presented narrowly in terms of balancing China, there is in fact a broader case to be made for that that also includes values and wider common interests. How would you frame that case? Japan and India are natural allies. They are both democracies and maritime nations that share an interest in upholding a free and open Indo-Pacific. They can contribute to that not only in the East China Sea or the Indian Ocean, but also in other areas with like-minded countries such as the United States, Australia, or Southeast Asian states like Singapore or Vietnam, be it in the South China Sea or the Pacific. Countering China is not the only aspect of Japan-India ties but it is one important part of it. China’s rise has clearly threatened the interests of both countries directly, be it in the India-China border area or the East China Sea, and Beijing’s actions in other areas like the South China Sea have indirectly demonstrated the consequences of its rise for the wider region. While there is a logic to advancing Japan-India relations for reasons of power shifts and converging interests, individuals matter as well in the advancement of such relationships, and Prime Minister Shinzo Abe has been key in this effort. What is your assessment of the role of leadership in the advancement of Japan-India relations? You’re right that Prime Minister Abe has played a key role in the development of the relationship. He has long attached great importance to Japan-India relations, which is why I think he saw to it that he delivered his “Confluence of the Two Seas” speech at the Indian Parliament in summer 2007 [during his first stint as prime minister] before he ultimately resigned a month later. It was the last significant foreign policy statement of the first Abe administration and also a testament to the importance of India within his wider Indo-Pacific vision. That has continued on until today, and Prime Minister Abe’s relationship with Indian Prime Minister Narendra Modi has been important in continuing to drive Japan-India relations forward. When both leaders leave the scene, their presence will likely be missed within the context of the advancement of Japan-India relations, even though one can expect that ties would continue to strengthen for other reasons still. There has been continued focus on the development of Japan-India relations within the context of broader relationships and linkages, including trilaterals with Australia and the United States as well as the Quad. While New Delhi has been investing in these ties, there is continued evidence of some hesitancy on its part for various reasons, from threat perceptions to time horizons. What in your mind are some of the key drivers for this? The threat perception issue is rooted in different factors among these countries. In India’s case, for instance, while its hesitancy is sometimes portrayed as being due to just its historic non-alignment posture, there are other reasons that are important too. To take just one example, India is the only one of the members of the Quad that shares a land border with China, so that affects its sense of threat perception significantly, and incidents like the Doklam crisis only further emphasize that. On time horizon, India continues to be caught between its short-term and long-term goals: it wants to avoid confrontation with China right now and for as long as possible, but it knows that in the long run it needs to build up cooperation between the United States, Japan, and Australia. These relationships are being advanced amid a wider conversation about the Indo-Pacific. Japan and India have articulated their own visions, which have their own distinctions despite some overlap between them as well as formulations by others such as the United States. Where do you see the key points of convergence and divergence, and how do you see that mix playing out in the coming years? It’s true that different countries have interpreted the Indo-Pacific differently. Even though there is general agreement on the “free” and “open” part, countries including Japan and India have stressed different aspects of the concept in line with their own interests. For example, Japan’s view is much clearer about how it is a strategy involving alignment with certain like-minded states, while the vision laid out by India has been more geographic in nature and cast as more inclusive and open, at least on the surface. But there are still important areas of convergence on the economic and security side. On the security side, there has been collaboration on areas such as information-sharing, capacity-building, and presence operations with South and Southeast Asian countries. On the economic side, for example, infrastructure has been a key area of focus, especially with both India and Japan announcing the Asia-Africa Growth corridor last year. What are your recommendations for India and Japan and other like-minded states like the United States and Australia as they seek to develop ties further in the coming years? There is still a lot of work to be done by both India and Japan in developing ties. There needs to be an understanding on both sides that China’s rising assertiveness and the speed with which its negative effects have manifested means that investing much more in like-minded relationships is needed today so that they can help it counter Beijing where these countries need to tomorrow. That said, both sides and other like-minded partners will need to show patience and recognize that there is long-term convergence of interests even though there may be issues in the short term. There also needs to be give-and-take by all sides. When there is hesitancy to advance cooperation in some areas, other areas may provide more opportunities at that point in time and investment could be focused in those domains.